Love is the one of the most popular life aspects that clients ask about in my work as a professional psychic. It’s only human to desire information about love and romance. I rarely use oracle cards in readings, but when I do, often the cards turn up to be about love and romance, even though the client asked about career or family or another life area. The question of the heart always comes through first in the reading or through most strongly. And, well, love and romance definitely are matters of the heart. Matters of the heart often cause clients to feel sensitive, worried, concerned, or just curious. At times, it can feel like the most pressing issue on which to gain clarity. Nothing else will seem as important as the love life sometimes. Or, the rest of life might be put on the backburner until clarity is found in the love department. As a psychic, I always only read the healing potentials in relationships. (This might not apply if you are being abused or hurt in any way. I’ll most likely refer you to the appropriate organization so you can get the help that you need.) I also always tell you to defer to your own inner guidance when it comes to making a decision, especially when it comes to what I call The Clash Decision (“Should I stay or should I go?”). It’s up to YOU as to whether you stay or go, and I really like to honor your own free will. After giving thousands of readings about love and romance, I’ve noticed some common questions. I like to question your questions to challenge you to think for yourself. Sometimes, thinking can be lacking when it comes to romantic relationships (’cause duh, they are about feelings and emotions). This is where I come in as a neutral, objective listener and facilitator of healing. I prefer to give you readings that empower you to heal things, but on YOUR end. Relationships always are about you, not the other person. 1. Is he or she “The One”? No. There, I said it. He or she just happens to be the person you’re in love with right now, in this incarnation. Don’t buy into the popular culture’s ideas about how there’s one soulmate out there for you. This is hogwash. There’s literally thousands of people that you are compatible with and could potentially be in love with on the planet. Don’t even buy into the spiritual ideas about Twin Flames (a term for your missing soul half). If you’re in love, why question it? If things feel right and you’re happy, that is all that matters. By the way, only you know in your heart if your partner is “The One.” You don’t need to pay a psychic to tell you that! A better question to ask a psychic: “What does the divine desire for me to know about my romantic relationship’s lessons and gifts?” This question will give you information about healing opportunities and strengths in your relationship. This information is much more useful for you. When do YOU want to get married? Yeah, I could tune in and give you a timeframe, but what if you didn’t like the one I give you? What if you wanted to meet that special person as soon as possible? –I need to lose 10 pounds first. –I need to get my finances in order. –I need to heal from my past relationships. –I need to declutter my house to make room for a new person. Catch my drift? I’m sure you have your own excuses because you’re human. You know, you don’t have to be perfect to attract your perfect partner. Start where you are because if someone truly loves you for YOU, the rest are just details. Come as you are, as they say. A better question to ask a psychic: “What does the divine desire for me to know about how to attract my ideal romantic partner?” Get ready to get some guidance and well, homework on what you need to do to get ready! Chances are, the divine will say to get out of the house. Can you handle that? 3. 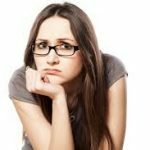 Will he or she leave their spouse (or significant other) for me? I refuse to do these sorts of readings. My personal ethics as a reader will not allow me to read a third party. I only can read what you need to know. Obviously, you have some lessons that you are learning. I can’t know these lessons, but I can help guide you towards gaining clarity and insights. Only you can decide as to what to do in this sort of relationship. It’s not an easy decision. The thing is that you so deserve to be in love with someone who is fully there for you. That’s all I will say on this. A better question to ask a psychic: “What does the divine desire for me to learn while in this relationship?” It’s entirely possible that the divine would like you to learn these lessons in a less painful or less stressful way. But, then again, it’s your life. 4. Is my significant other cheating on me? This is yet another example of a type of reading that I refuse to do. Again, I can’t energetically spy on another. If you really want to know, please consider shelling out the cash to pay for a private investigator who specializes in spousal surveillance. But, do you really want to know? I highly recommend that you follow your own guidance. Clearly, your intuition is telling you that something is not right. Talk to your significant other. I mean, don’t accuse them of anything. Just say that you have had concerns about them, and you’re wondering if they are happy in the relationship. Give them a chance to come clean. If they don’t, take appropriate actions, as described. Maybe you will need also to go together for couples’ counseling so that you can work on trust issues. I’m a psychic, not a private investigator and not a marriage counselor. With these types of questions, I refer you to the appropriate professional. The better question to ask a psychic: “What does the divine desire for me to know about healing my relationship? Clearly, some healing needs to occur. If your significant other won’t change, just work on yourself for a while. Eventually, things will have to shift. Change is all there is, according to the Universe. You will end up getting the clarity you need in time if you go this route. 5. Does this person love me? Why not ask that person? Seriously, ask them! Save your money. You can get the answer to this on your own! And, again, I only can ready situations as they pertain to you. I turned the tables to her, asking her which person she felt the most love towards. I told her it had to be up to her to decide. She had to learn how to trust her heart. So, I asked her if I could ask the divine what she needed to know about trusting her heart. The client wouldn’t hear any of it. I did my best to give her some information, but she was very dissatisfied with her reading. It was a blessing because it helped me to leave a situation professionally that was no longer in alignment with my best good. Also, it made me have a lot of compassion for the human side of love and romance. A better question to ask a psychic: “What does the divine desire for me to know about how to follow my own heart in the best way for me?” This question will help you to understand how your internal guidance system works. You will learn about how your own intuition works. You will be best equipped with making your own decisions. 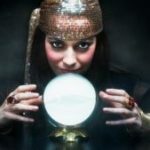 Is Your Psychic Reading A total Failure?